Upcoming Show: The Garden Of Earthly Delights! The Garden of Earthly Delights is a place where your wildest dreams can come true, full of passion, indulgence, decadence... and maybe even a little sin. 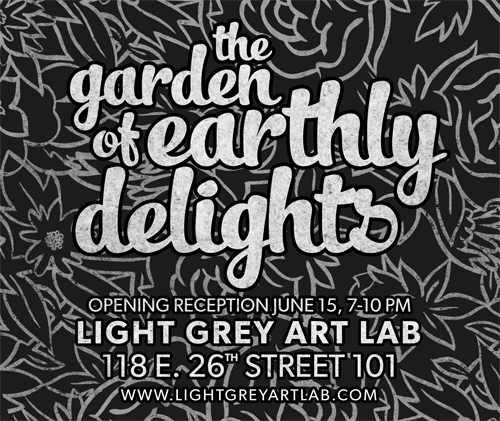 Light Grey Art Lab is proud to host The Garden of Earthly Delights, a new show of original work from twenty illustrators and artists, curated by Tuesday Bassen and Pete Gamlen. The show opens June 15th and runs until July 13th. The opening reception on Friday, June 15th, from 7-10 PM! Everyone is invited so please stop by! 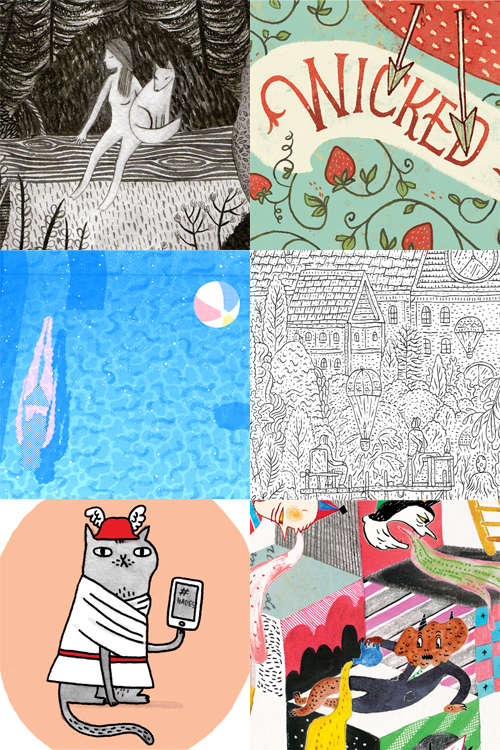 We've put together a little sneak preview of some of the art that's rolling in, as well as a list of the participating artists! It's a super talented bunch and it's going to be a great show! We're super excited for the opening of this show! Stop by to see the art and say hi! And invite friends via our Facebook events page! Remember, the Opening Reception is Friday, June 15th from 7- 10pm! We're located on the corner of Stevens Ave and 26th Street - right across from the Minneapolis College of Art & Design. Street parking is available on Stevens, 26th and 1st Ave.